For Darius LaMonte , a freshman stepper in Georgia State’s elite step team Peerless Perfexion, coming into college with no friends was a huge adjustment. He, like many incoming freshmen, struggled with feeling alone. However, when he decided to become a part of Peerless Perfexion, he found a place where he felt he belonged, and he inherited a group of friends, which he now embraces as his brothers. 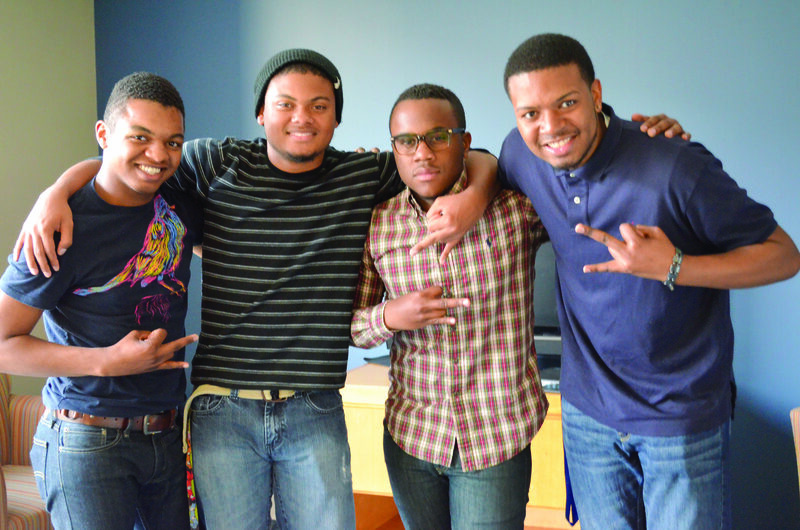 Gaining it’s start in 2006, the all-male step team is a freshmen-based student organization that helps ease the transition from high school to college. It provides a safe space for young guys to grow into better men. The type of dance that the organization is known for is “step,” which is often closely associated with Greek culture. As an art form stepping takes a lot of passion and dedication. However, when perfected, it has the ability to be very powerful and moving. Although step has been around for years, over time the attraction to stepping has begun to dye down. As a student who has stepped throughout his entire life, this hits home a little hard for Sams. This same hurt is what motivates Sams to breathe life back into step here at Georgia State. He is so passionate about it, and he also felt like having a step team of all males was important because it brought a sense of brotherhood. “I think its important having and all male group because there’s certain things that guys can teach you that women can’t,” Sams said. Aside from stepping, Peerless Perfexion has a sense of mentorship as well. Many of their “older brothers” are in fraternities and other leadership positions on campus, which inspires them to work harder and achieve the same level of success. One of the lessons that their mentors help to instill into them is hard work. Being on the step team can be very challenging especially if a member has never done it before, but they learn through continuous practice that hard work really does pay off. They guys also learn that there is a time to hang out and that there is a time for work. Peerless Perfexion is known as a step team, but it is clear that they are way more that that. They are a brotherhood, that is learning how to understand and take on life together. “What happens in practice stays in practice,” Corey Sams said. Don’t lie,” Jordan Campbell said. “No cursing in front of women,” Darius LaMonte said. “No snitching on your brothers,” Sams said.